Granby Nurseries Ltd (“the Nursery” or “we”) is committed to protecting the privacy and security of your personal information. This privacy notice describes how the Nursery collects and uses personal information about children attending the Nursery (“Child” or “Children”) and the parents or carers of the Children (“Parent/Carer”) (known collectively as “You” or “Your”), in accordance with the General Data Protection Regulation (GDPR). The Nursery is a “data controller”. This means that we are responsible for deciding how we hold and use personal information about You. We are required under data protection legislation to notify You of the information contained in this privacy notice. This notice applies to Children and Parents. This notice does not form part of any contract to provide services. We may update this notice at any time but if we do so, we will provide You with an updated copy of this notice as soon as reasonably practical. We collect personal information about Children and Parents/Carers from when the initial enquiry is made by the Parents, through the enrolment process and until the Children stop using the Nursery’s services. If Parents/Carers fail to provide certain information when requested, we may not be able to perform the respective contracts we have entered into with them, or we may be prevented from complying with our respective legal obligations. We will only use Your personal information for the purposes for which we collected it, unless we reasonably consider that we need to use it for another reason and that reason is compatible with the original purpose. If we need to use Your personal information for an unrelated purpose, we will notify the Child or Parent/Carer, as is appropriate in the circumstances, and we will explain the legal basis which allows us to do so. Please note that we may process a Child’s or a Parent/Carer’s personal information without their respective knowledge or consent, as relevant to the circumstances, in compliance with the above rules, where this is required or permitted by law. 1. In limited circumstances, with Parent/Carer explicit written consent. Less commonly, we may process this type of information where it is needed in relation to legal claims or where it is needed to protect a Child or a Parents/Carers’ interests (or someone else’s interests) and the Child or Parent/Carer as is appropriate is not capable of giving consent, or where the Parent/Carer has already made the information public. Less commonly, we may use information relating to criminal convictions where it is necessary in relation to legal claims, where it is necessary to protect the interests of You (or someone else’s interests) and You are not capable of giving your consent, or where a Parent, has already made the information public. 1. Where we have notified Parents/Carers of the decision and given the Parent/Carer as is appropriate 21 days to request a reconsideration. 2. Where it is necessary to perform the contract with a Parent/Carer and appropriate measures are in place to safeguard the Child’s or the Parent/Carer’s rights as is appropriate. 3. In limited circumstances, with explicit written consent from the Parent/Carer, as is appropriate, and where appropriate measures are in place to safeguard Parent/Carer rights. If we make an automated decision on the basis of any particularly sensitive personal information, we must have either explicit written consent from a Parent/Carer as is appropriate, or it must be justified in the public interest, and we must also put in place appropriate measures to safeguard a Parents/Carers rights as is relevant in the circumstances. You will not be subject to decisions that will have a significant impact on You based solely on automated decision-making, unless we have a lawful basis for doing so and we have notified the Parent/Carer as is appropriate in the circumstances. We may have to share Child or Parent/Carer data with third parties, including third-party service providers and other entities in the group. We require third parties to respect the security of Your data and to treat it in accordance with the law. 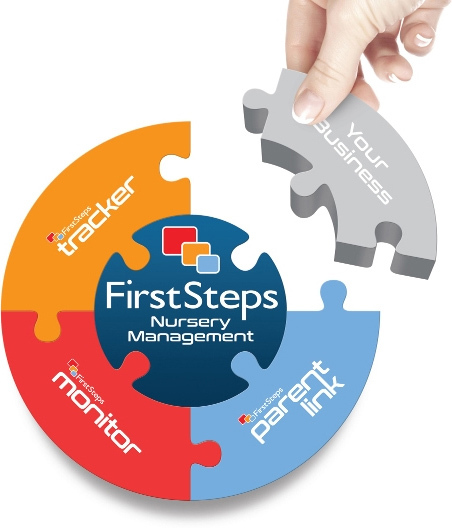 Why might the Nursery share Child or Parent/Carer personal information with third parties? Local Authorities – for funding and monitoring reasons (e.g. equal opportunities and uptake of funded hours). Regulatory bodies – for ensuring compliance and the safety and welfare of the children. Schools – to provide a successful transition by ensuring information about the child’s progress and current level of development and interests are shared. We will share Your personal information with other entities in our group as part of our normal commercial activities. Request erasure of your personal information. This enables Parents/Carers to ask us to delete or remove personal information where there is no good reason for us continuing to process it. You also have the right to ask us to delete or remove Your personal information where You have exercised Your right to object to processing (see below). Request the restriction of processing of Your personal information. This enables Parents/Carers, as is appropriate, to ask us to suspend the processing of personal information about You for example if You want us to establish its accuracy or the reason for processing it. If you have any questions about this privacy notice, please contact your nursery manager.